"Ooooh, yes, yes, yes, Honey, 'cause Baby, if you kiss somebody with a dragon mouth, my God, it's the worst experience ever as an actor to try to act like you enjoy it!" Well, we might add that you don't need to spend tons of money on a toothbrush — after all, it's not the brush that keeps your mouth healthy, but the hand that holds it. And not everyone needs to come in as often every three months. But her tips are generally right on. For proper at-home oral care, nothing beats brushing twice a day for two minutes each time, and flossing once a day. Brushing removes the sticky, bacteria-laden plaque that clings to your teeth and causes tooth decay and gum disease — not to mention malodorous breath. Don't forget to brush your tongue as well — it can also harbor those bad-breath bacteria. While brushing is effective, it can't reach the tiny spaces in between teeth and under gums where plaque bacteria can hide. But floss can: That's what makes it so important to getting your mouth really clean. Finally, regular professional checkups and cleanings are an essential part of good oral hygiene. Why? Because even the most dutiful brushing and flossing can't remove the hardened coating called tartar that eventually forms on tooth surfaces. Only a trained health care provider with the right dental tools can! And when you come in for a routine office visit, you'll also get a thorough checkup that can detect tooth decay, gum disease, and other threats to your oral health. Bad breath isn't just a turn-off for kissing — It can indicate a possible problem in your mouth. 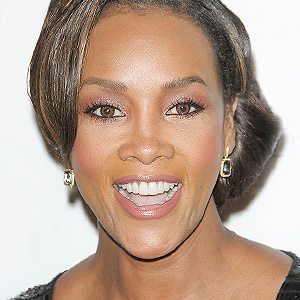 So listen to what award-winning kisser Vivica Fox says: Paying attention to your oral hygiene can really pay off! For more information, contact us or schedule an appointment for a consultation. You can read the entire interview with Vivica A. Fox in Dear Doctor's latest issue.